A quick and easy guide to setting up the mop feature on bObsweep Pethair or Standard. When the mop pad is properly attached, Bob will simultaneously sweep, vacuum, and mop all reachable spaces. Remember the mopping accessory should be removed when Bob works on carpet, so he can drive easily and transition from one type of flooring to another. bObsweep pethair and standard both include a mopping attachment that easily clips on to the underside. 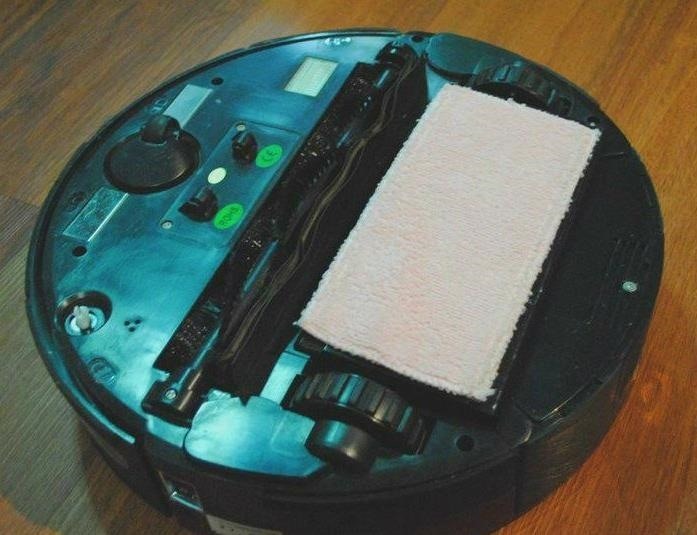 Dampen the mop cloth with water and/or add an appropriate cleaning product for the floor type Bob is mopping. Lay the wet cloth on top of the attachment with the Velcro side facing down and align the two precisely. 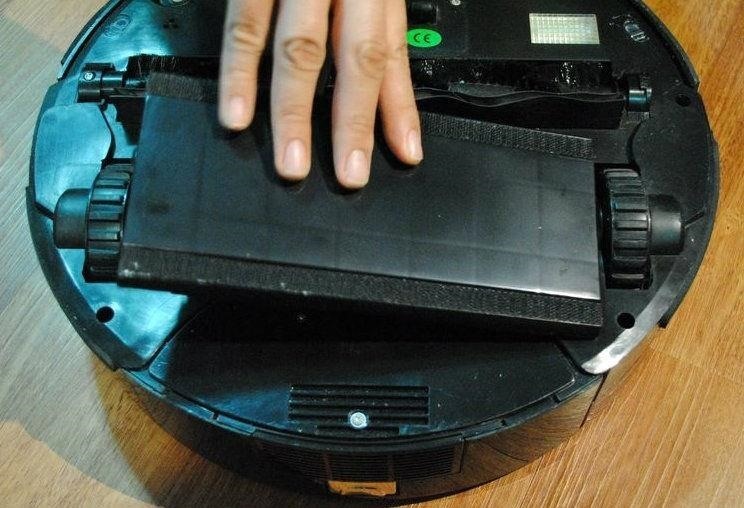 When finished, flip Bob back onto his wheels, turn him on, and pick a cleaning mode. Push the mop holder down gently in the middle of the wheels. You'll hear a click when the side tabs lock onto Bob. The secured mop should slant slightly from outside force to accommodate changes in floor height and eliminate gaps between the mop and the ground. 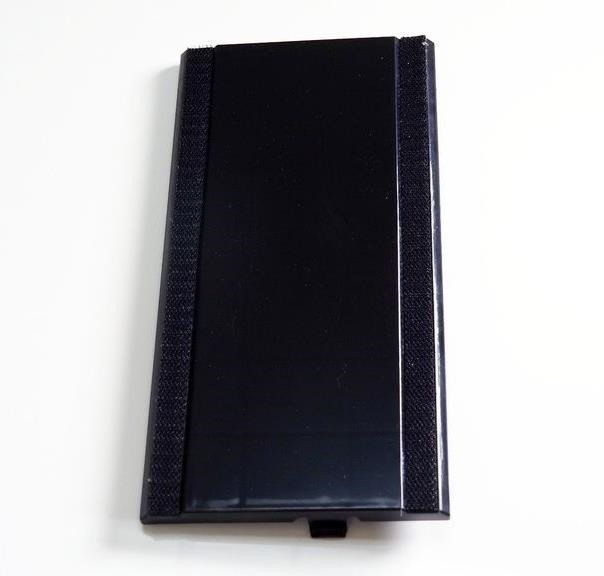 To install on either model, hold the plastic attachment piece with the Velcro side up. The tabs on its sides should be closer to Bob's main brush for correct placement. If you attach the mop feature the wrong way (side tabs are closer to Bob's back), you'll notice it drags very close to Bob's main brush and may interfere with its work. Let Bob work around the area himself, and he will wash all reachable areas. 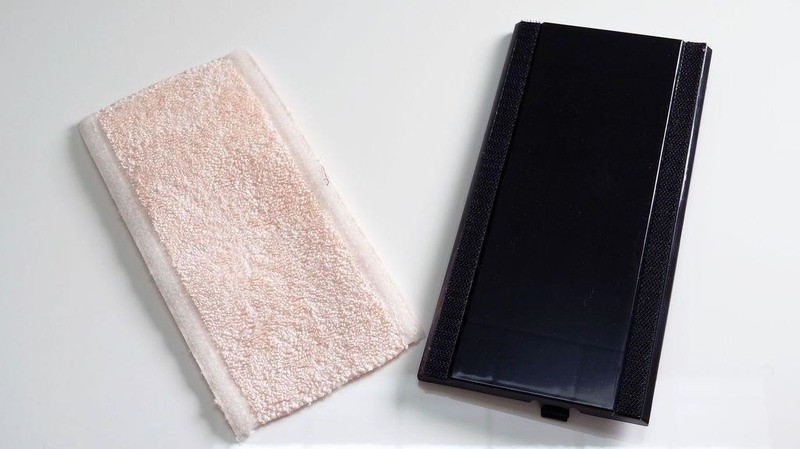 For a large room, it may help to apply a small amount of your cleanser on the floor too. Spread out sparse additions of cleaning liquid so the mop absorbs then disperses it evenly throughout the room. If there is a large puddle in one area of Bob's workspace it will be harder for him to achieve a streak-free clean. When bOb finishes working, flip him over to remove and wash the mopping cloth. Peel it off the attachment and rinse it with water or add it to your laundry and let the washing machine do the work for you. 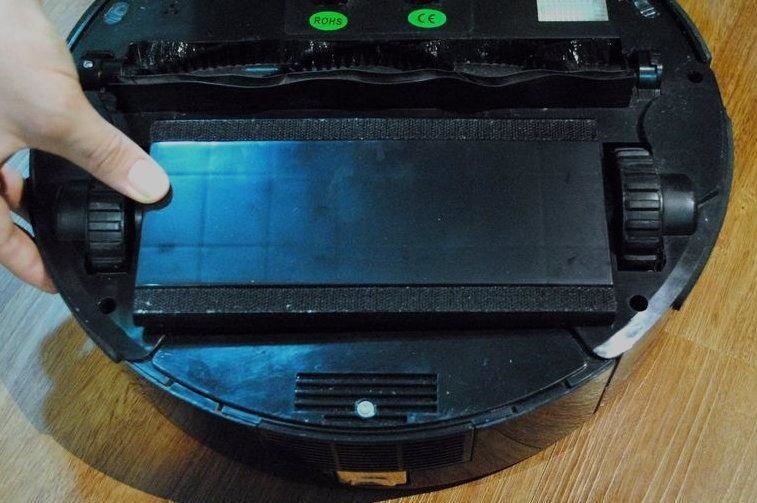 Always detach the mop holder before bObsweep works in the rest of your home. 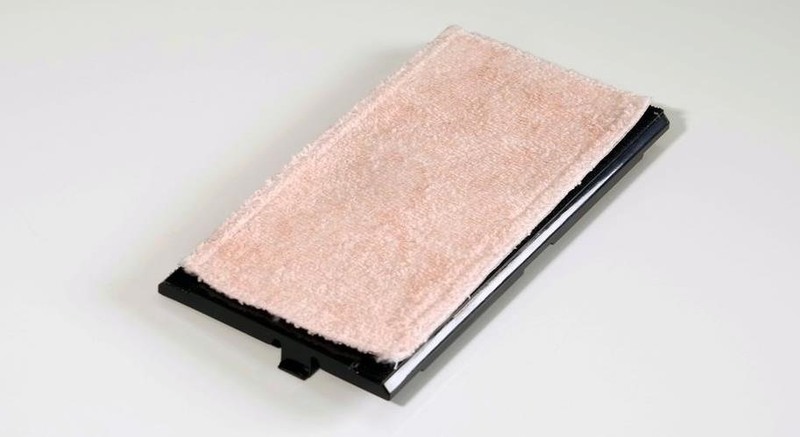 If you leave the holder and/or mop pad attached, it may stick to your carpets, causing Bob to struggle across small ledges or floor transitions. To remove, place one hand on each end and grip tightly. 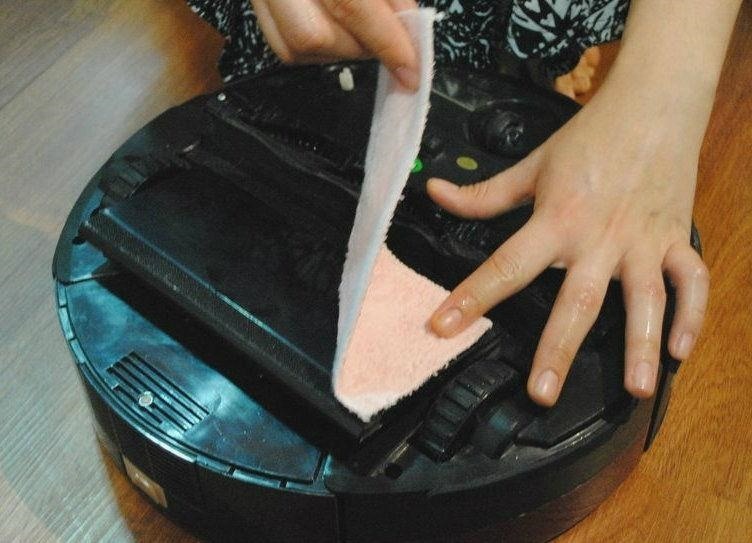 Then, gently press its tabs inward (toward the middle of Bob) while you lift the mop holder up. Finally, store the mop holder for future use.